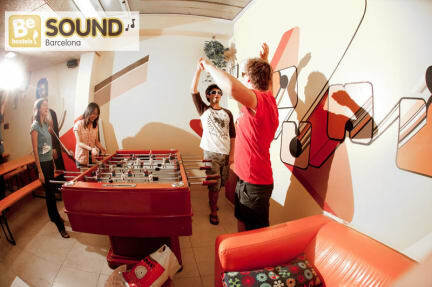 Had a great stay in the sound hostel. You have a nice rooftop were you can buy mojito's for 3 euro's. Because of the size and the facilities it's easy to meet new people. Would definitely stay here again. I did stay in this hostel for exact 1,5 hours. This was absolutely not the place I was looking for. The rooms were so smelly and dirty, my roommates were already drunk and high at 8pm and the bathrooms super dirty as well. Maybe if you don't mind this and just want a bed for the night, this is the place. But defenitely not the place for me as a female solo traveler !